Divide all items such as emails, calendars, tasks, emails, etc. 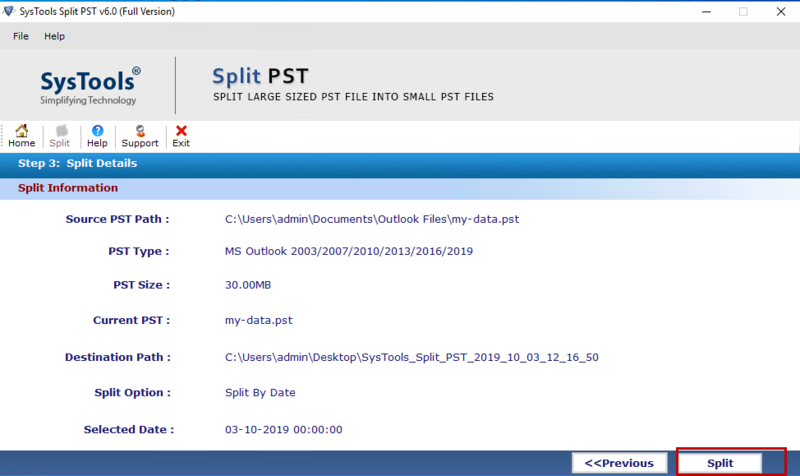 Microsoft Outlook PST File Splitter permits users to break PST file into smaller files. With the help of this advance utility, it is possible to divide multiple PST files into minor segments. The PST break tool is capable enough to divide UNICODE and ANSI PST type and maintains the data integrity. In addition, it keeps the formatting and Meta properties intact. By using PST break tool, it becomes possible to break large PST file into smaller parts with an ease. All the smaller parts are of common size. Users can put the range of size from 5 MB to 45 GB in the panel of the software. Once the size is chosen, the tool split Outlook data files into various parts and that can be used easily in Outlook. This option permits users to split PST by folder. 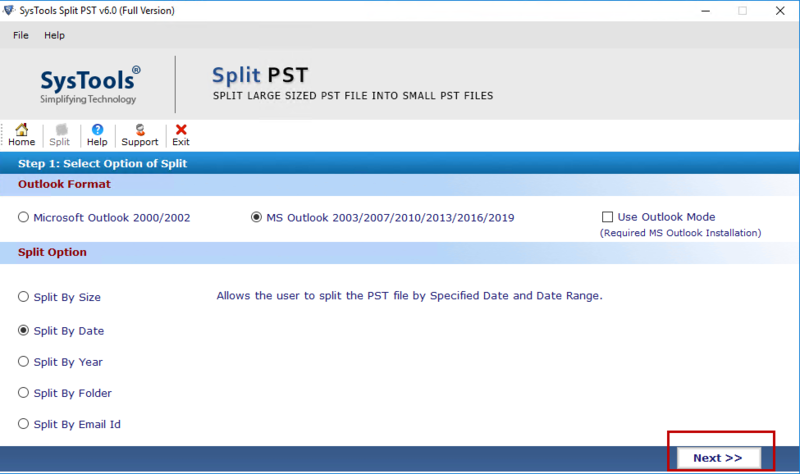 This means, the Split PST tool will generate an individual PST for each folder available within the MS Outlook PST data file. It will further truncate the respective folder by the desired file size. For example, it creates folders like this Inbox.pst for inbox folder, contacts.pst for contacts folder, etc. Another important option that comes along with the split PST software is to break PST file by year. According to this option, users can perform the process of breaking PST on yearly basis. The PST break tool permits to produce a separate PST for each year. For example, in case a user chooses 2014 to 2018. Then, it will create 5 PST files i.e. for 2014, 2015, 2016, 2017 and 2018. 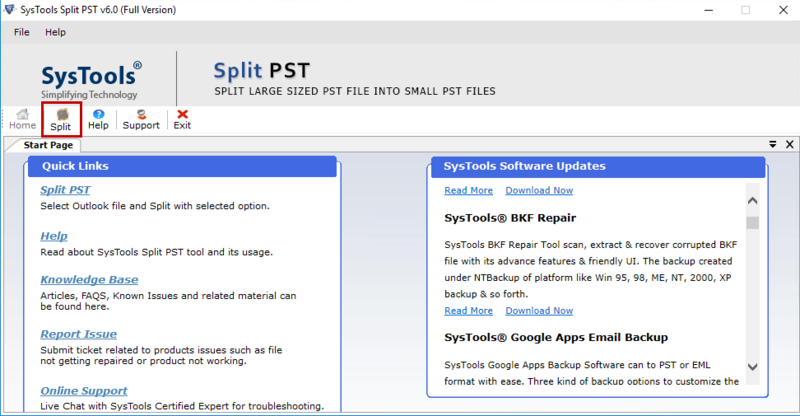 Split PST by date free is a crucial option of PST File Splitter Software. It allows users to divide PST by choosing a particular date. 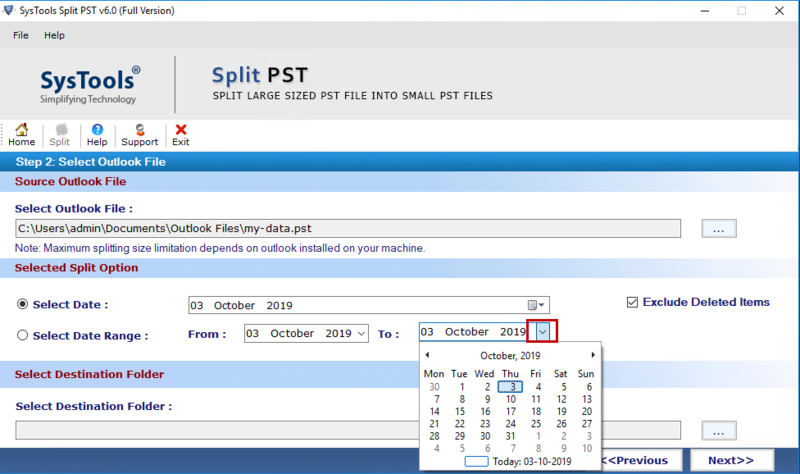 Choose the data and the tool will break Outlook file in two parts based on date. First segment will contain the data of and prior to the indicated date. On the other hand, second part will contain the data after that date. Another added feature, which makes the split PST tool worthy, is its capability to divide Outlook archived files. Users can run this tool in any of the available edition of Outlook i.e. Outlook 2007, Outlook 2010, Outlook 2013, Outlook 2016, etc. However, users cannot split those PST files that are corrupted or unhealthy via this software. The utility to split PST file into smaller parts creates a report and saves it as CSV format. This report contain Folder path, Number of items, Folder name, etc. With this PST cut tool, it is becomes feasible to split PST file without Outlook. In addition, it allows users to produce a new folder for saving resultant PST file. It makes the entire process of splitting easy. 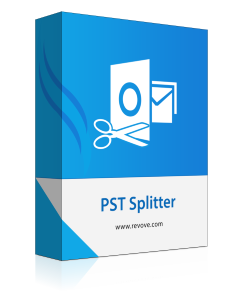 Free or Demo version of PST Splitter only split first 50 emails. For "Split PST by Folder" option, it will Split 10 mails in each folder. Does PST Split Software can even split corrupted PST file? No, you have to repair the file first and after this, it can be split into smaller parts. Can I break multiple Outlook PST at once with the help of this PST cut tool? Is it possible to run this tool on a Mac Operating System? No, PST break tool software is designed for Windows Operating System only, therefore, cannot be accessed into Mac OSX. Can I run this utility in Microsoft Outlook 2007 to break PST file into smaller files? Yes, with the PST break tool, you can easily divide PST file of any edition of Outlook including 2007. How much time the entire process of splitting PST file will take? The time depends upon the number of PST files that are chosen for the propose of splitting. Like any other user, I also wanted to use a safe and platform to break large PST files into smaller parts. Then I found PST Splitter Tool for the same propose. I instantly launched the utility in my machine and used the trial version. I liked it very much therefore, downloaded the full version. This software has really a very smooth working and even the interface is very easy. I got no issue in between of the entire task of splitting. Dividing Outlook PST was not an easy task for me until I get to know about this software. It brings forth various options making the task to break PST file convenient. I have divided around 200 PST files according to date manner using this tool. My experience with this is very good and I want to thanks to the developers of such a useful creation.